In an uncommon occurrence in today’s subdued private residential market, the launch of condo project Lake Grande over the weekend drew overwhelming response. 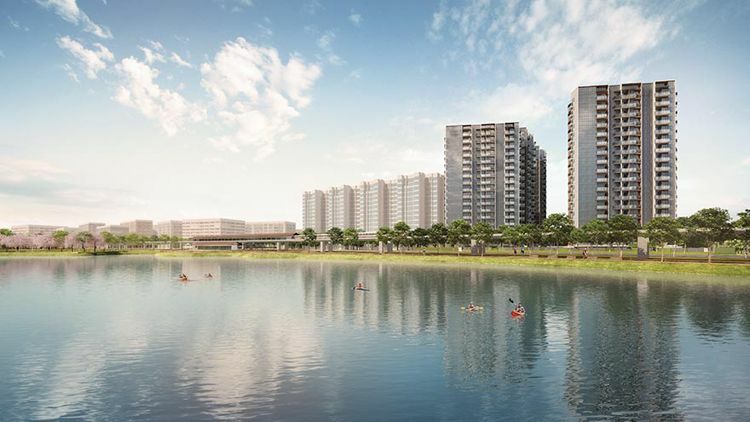 Being developed by MCL Land, the 710-unit condominium situated as part of the future Jurong Lake District has approximately sold 87% of its 500 units being released for sale – at an average per square foot price of S$1,368. Pretty much similar to its neighbouring condo project Lakeville, this 17-storey condo project has a good mix of unit types (from 1-bedroom to 5-bedroom units), and it’s also within close proximity to the Lakeside MRT Station. Some units may also enjoy a good view over the Jurong Lake. Developer MCL Land mentioned that 83% of the units sold were mainly 1 and 2 bedroom units. Property analysts have cautioned that whilst the private property market is displaying symptoms of the end of a declining property cycle – with property prices seeing a weaker decline in the 2nd quarter of 2016 since 3 years ago, the overwhelming demand witnessed at Lake Grande should not be seen as an improvement in purchasers’ sentiments. They have attributed the strong reception to the recent hype on Government’s initiatives and plans to develop a 2nd Central Business District in Singapore, and also the Jurong Lake District. Some market watchers said that these ambitious plans have been seen as “the key contributing factors” to the robust sales numbers at Lake Grande. On top of that, the low supply of smaller homes within the vicinity have also benefited the new launch project. The catalyst effect would probably be the recent buzz of having the High Speed Rail terminus being located in Jurong (which will connect Kuala Lumpur directly to Singapore). Recently the government has taken a bigger step towards their plans by signing a memorandum of understanding the week before.